Good afternoon and happy Saturday. I've been having a play with some of my new Studio Light and Dylusion stamps and a huge MDF tag that I've had for ages, and this is what I've made. 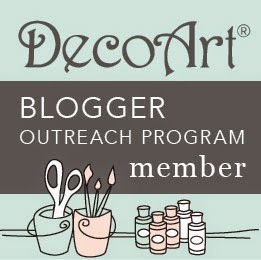 I've used DecoArt Americana Premium Acrylics and blended them on my tag. My lovely lady has been coloured with pencils, then I've gone a little mad with my white pen and sequins. 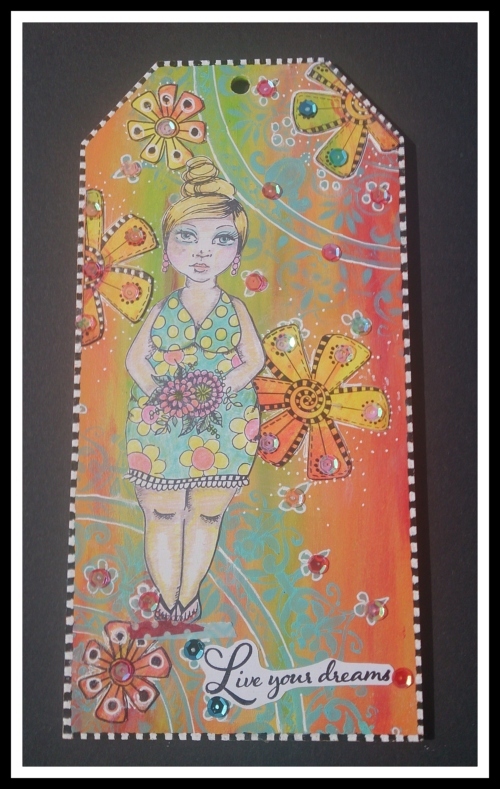 I'm entering her into the Simon Says Stamp Monday challenge which is All Things Bright and Beautiful, the Craft Stamper TIMI June challenge, and also the Happy Little Stampers mixed media challenge. 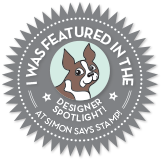 Labels: Craft Stamper Challenge, Deco Art Blogger Outreach Programme, happy little stampers mixed media challenge, Simon Says Stamp Monday Challenge. Looks great Sue glad you treated yourself. Just love this Sue, so wonderfully colourful and beautifully detailed too. 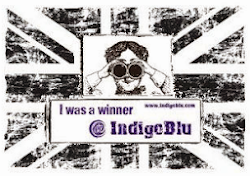 This is super Sue, from the colours upon the background to those awesome stamps. She's a great character. Love her!! 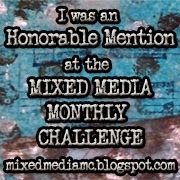 This is such a great tag! I love how the color palette turned out and I adore how you accented different parts with the white pen and sequins. You've got a great eye for composition and this turned out beautifully. 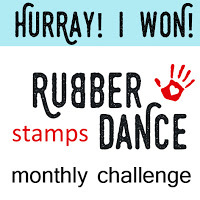 Thank you so much for sharing your talents with us for this week's Simon Says Stamp Monday Challenge! I love this large tag too, wonderfully stamped and coloured. I couldn't resist to another big lady one for my part, just need a bit of time to play with lol.